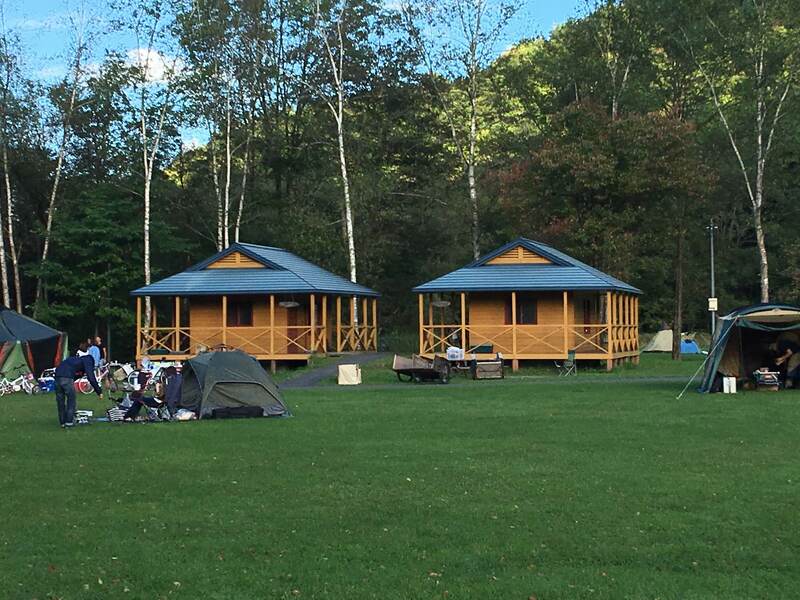 Hobetsu campsite is a pleasant little camp site about an hour away from Sapporo city, kind of in the middle of nowhere with not much nearby except an onsen (natural hotspring), which is a 2 minute drive away (perfect for after spending the best part of a day bathing in barbecue smoke!). The camp grounds are fairly large with a big open field where people can “day” camp or stay overnight if they wish. There is no reservation required for field camping and when I was there it was just the right amount of crowded, with a lot of space still available. Prices for the field area range from 500 yen to 2,000 yen depending on the size of your group. There is also a car port camping area (must book) so if you have brought everything but the kitchen sink (which a lot Japanese like to do) you don’t have to make a million trips. You get more privacy here as it is its own section away from the large open field. The rental fee for each area is about 2,000 yen and you are given your own area of about 100 square meters, and one power socket, which we didn’t notice until we left. Each area is divided by some small trees but there are some areas which can be joined together if there is a big group. There are toilets and a sink area nearby, but no showers. Use the onsen for that which costs about 500 yen for entry. 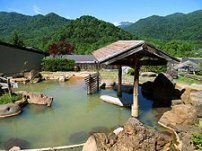 When you check in to Hobetsu campsite the boss may give you a coupon voucher for the onsen, about 10% off. 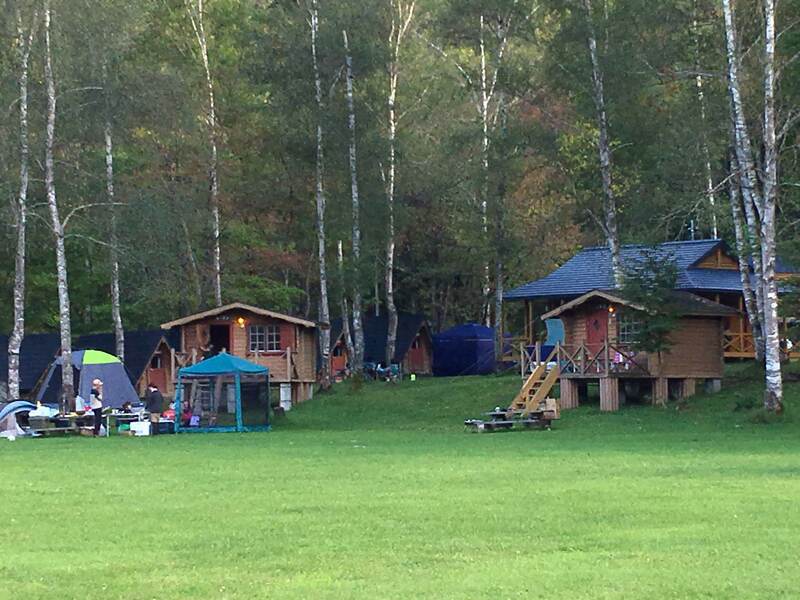 For those glampers out there that want a good nights sleep, there are also some cool bungalows for rent (situated on the edges of the main camp field) and even a “tree house”. Prices range from 3,000 yen to 10,000 yen depending on what size you want. Obviously the bigger the bungalow, the more expensive. The bigger bungalows can sleep up to 16 people and the smallest ones can sleep up to 4, very reasonable. 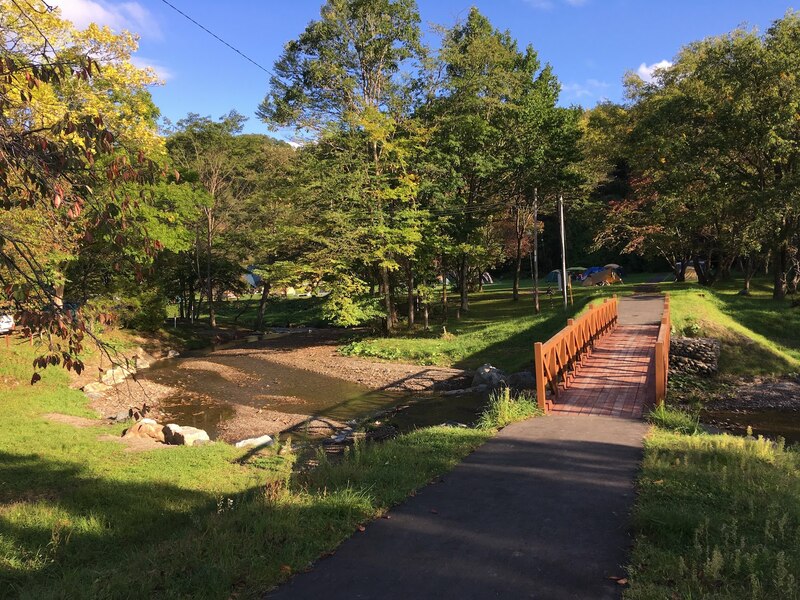 Hobestsu campsite also has a nice river and a small jungle gym with a zip line where kids can play, so this place is great for families. When we stayed here it was mainly families but it was very quiet at night. I highly recommend this campsite but I think camping in the open field is better than the car port area because you get more of an atmosphere being surrounded by other tents. Also the car camp area doesn’t get much sunlight, so it can get a bit chilly in the shade, and there is no view unless you are lucky enough to get a spot along the river, which is primo. I think next time we might try out one of the bungalows as I never sleep very well in a tent and they are right along the edge of the main camp field so we can also pitch out a tent and barbecue on the field where the atmosphere is, best of both worlds. 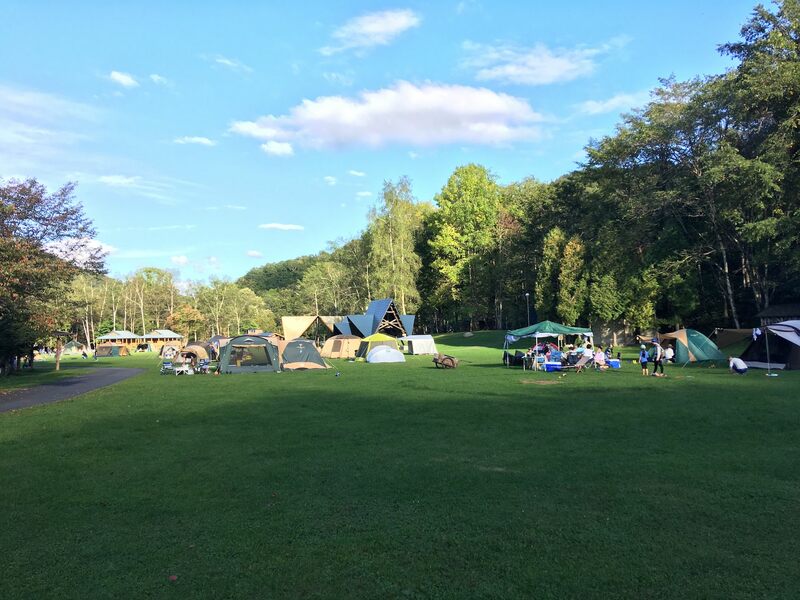 Check out the Hobetsu campsite website for more pictures, access and information. It’s not a secure site so be careful!